When your garage door jams, it can become more than just a nuisance to you---it can also put the valuables in your garage at risk. When your garage door refuses to open and close properly, it may even be the warning signs of a larger problem with your door. You can take steps to troubleshoot the problem, though, and get your garage door working smoothly again. Understand the mechanics of a garage door to make it open smoothly. Examine the door in its entirety. Sometimes when your garage door is not operating smoothly it may be due to some interference, like a misplaced garden tool. It may also be a problem with the components of the door, so pay close attention to the springs, cables, rollers and other parts that make up the door. 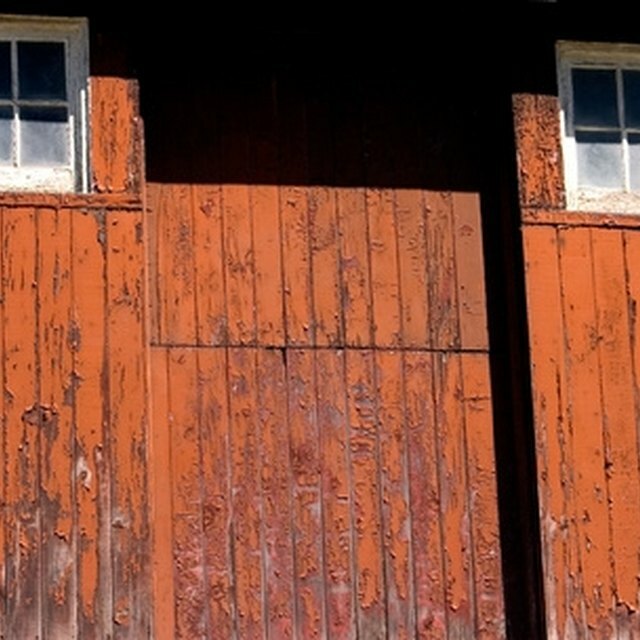 Look for things like rust, loose bolts or built-up dirt that may be affecting the performance of the door. Tighten down all the screws and bolts on the door track and the door itself. Tighten even bolts and screws that seem tight, just to be sure. Clean out any built-up dirt or grime in the door's track. Use a sturdy towel and some watered-down dish detergent. Use a degreasing agent if you encounter some particularly stubborn grime. Apply rust remover to any spots in need of it. If the rust damage seems severe, consider replacing the part altogether. Check the moving parts of the door, like the pulleys and rollers, for wear and tear. After frequent use, the moving parts of the door may wear down, making them hinder the use of the door instead of aiding it. The rollers are the part of the door that runs on the track. You'll find the pulleys right above the bend in the top of the track and right in front of the spring on the top part of the track. If any of these parts seem worn or rusted, replace them to improve the performance of the door.